I got this book yesterday and wanted to share the story behind it. 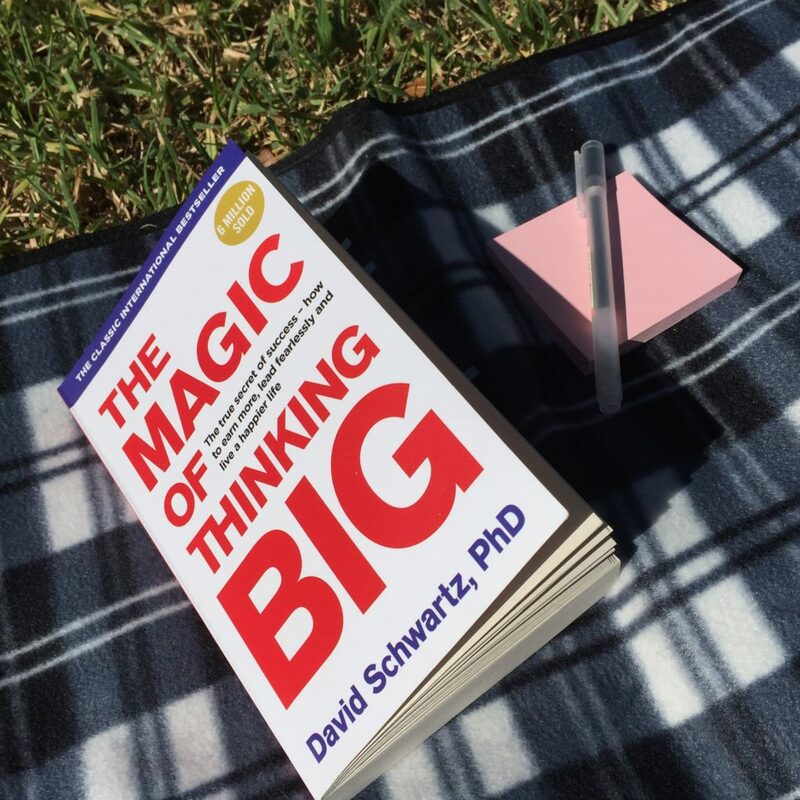 I’d heard of the author, David Schwartz, from a workshop I attended where the presenter talked about a formula that Schwartz uses – it’s based around how we actually have waaaaaay more years than we think we have to accomplish big things. It was a life-altering concept for me – and I’ll write about that some other time. But this book has been on my ‘want to read’ list (a very long list) for over a year. I spend a lot of time in the ‘Personal Development’ section of Dymocks. On Friday, I saw this book there for the first time. I considered buying it, but there were two other books that I also wanted, and so this one was again sent to the waitlist. But then on Friday afternoon, I was trying to watch a YouTube video and the obligatory ad came on. After 10 seconds I was able to skip the ad, but I’d been drawn in by it. It was a young entrepreneur, giving a tour of one of his mansions, but also talking about the three things that he says are a must for people to do if they want success. Before he got into that, he mentioned that one of his own mentors had spoken to him about this book by David Schwartz! I was surprised by the coincidence of this book turning up twice in one day. Then lo and behold, I got an email that night from a personal development expert whose list I’m subscribed to, and she was talking about the very same book! Yep, three times in one day. I actually just closed my computer at that point because I couldn’t believe that this was anything other than a sign from the universe that now is the right time for me to read this book! So yesterday I ducked back into the bookshop and grabbed a copy. I had some spare time between appointments and so I lay down in the sunshine and started reading. I’ve only read 28 pages so far, but my copy is already full of sticky flags and notes filled with quotes and key concepts that speak to me. I dare say I’ll write more about some of these concepts when I’m finished. Without getting too fluffy about mysterious forces at work, I really feel that this is the right time for me to be reading this book. I’d love to know if any of you have read the book, or have you ever felt strongly compelled to read a certain book at a particular time? This looks like a great book. Can’t wait to hear what you think about it. I love buying ebooks on Kobo. I see a great book I can get it straight away without having to go out. You have just reminded me about a book I was recommended many years ago. Its called The Art of Non-Conformity by Chris Guillebeau. Have you read it? Great inspiration to break away from the norm. I was, and still am in love with this book! Think this might be a sign to read it again – thanks! !